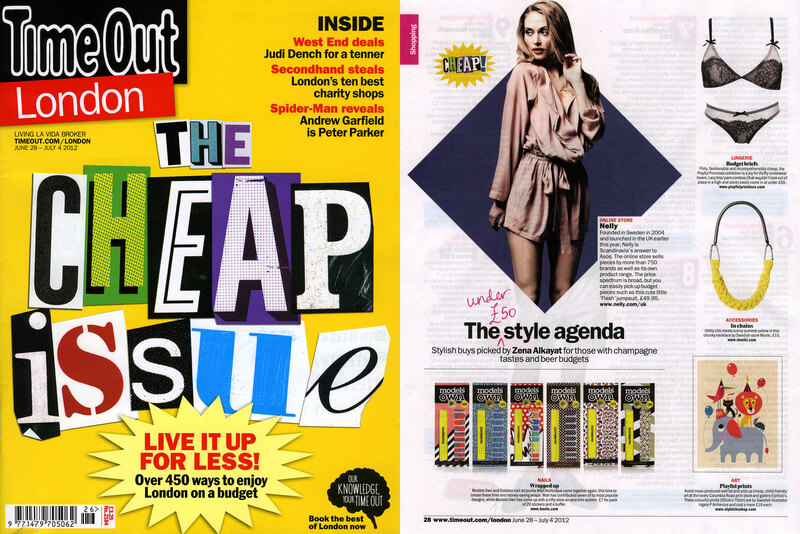 Elphick’s have been featured in this weeks Time Out with a print by Ingela P Arrhenius. 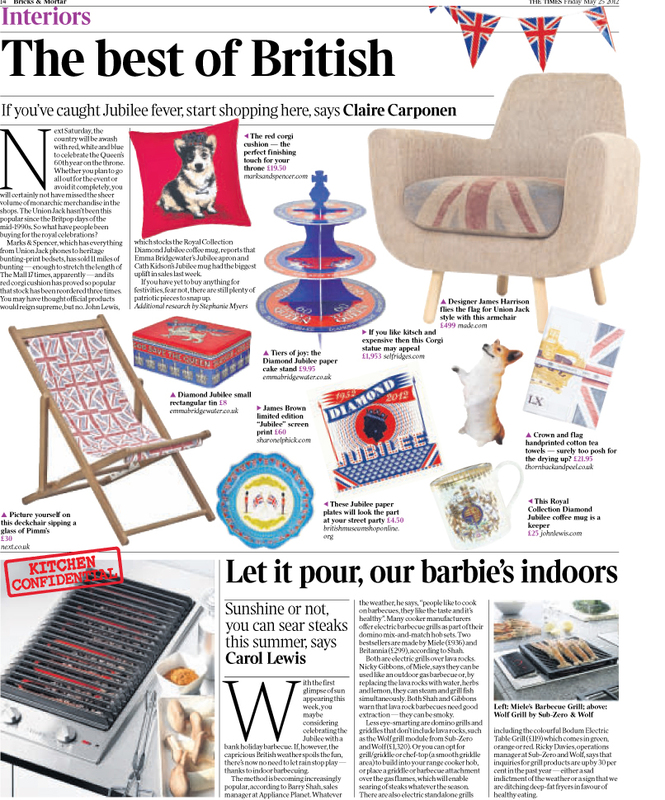 ‘Stylish buys picked by Zena Alkayat for those with champagne tastes and beer budgets. 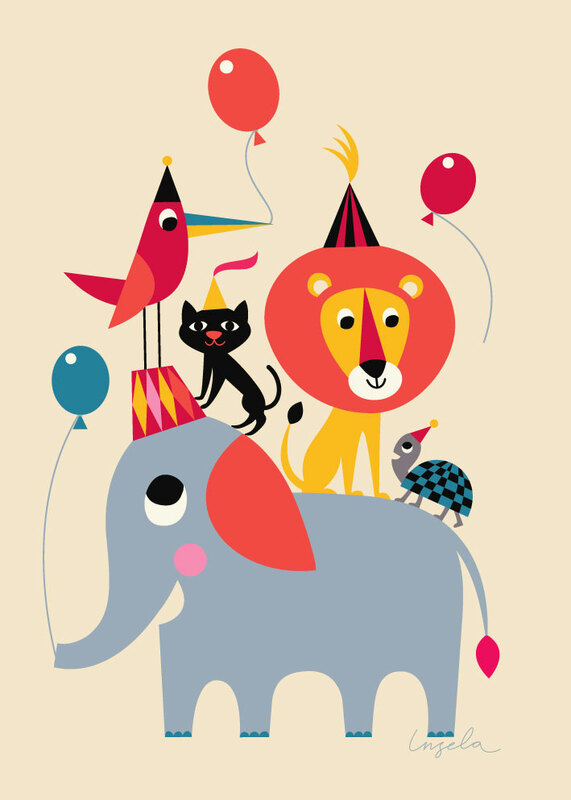 ‘Animal Party’ is a mere £18 for a print measuring 50cm x 70cm. Available to purchase online at www.elphicksshop.com. 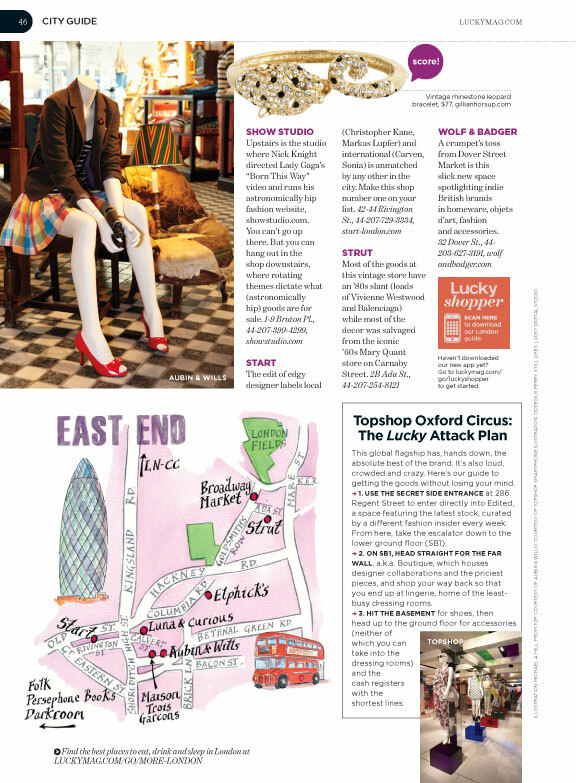 We’ve been featured in Lucky Magazine as part of the London City Guide. 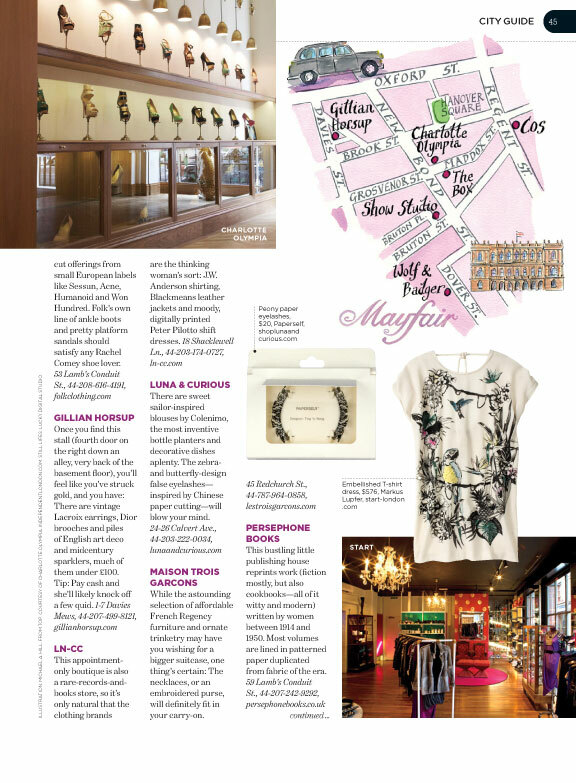 Lots of other great shop recommendations too. 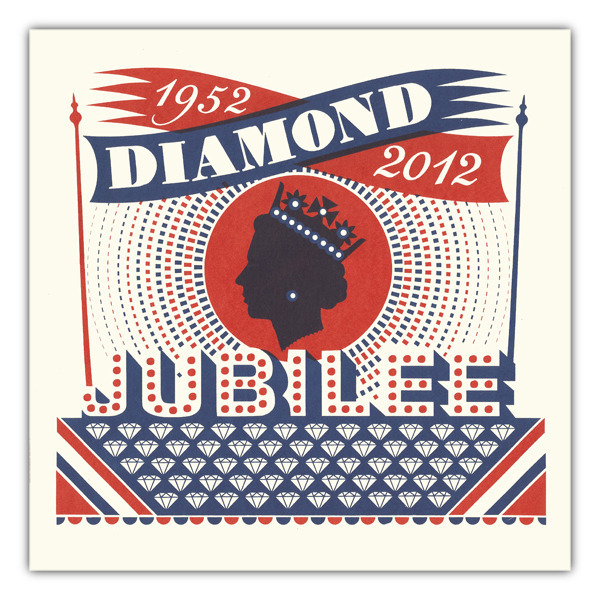 James Brown’s ‘Jubilee’ print was featured in Bricks and Mortar in The Times Property section last Friday. Buy yours here while stocks last. 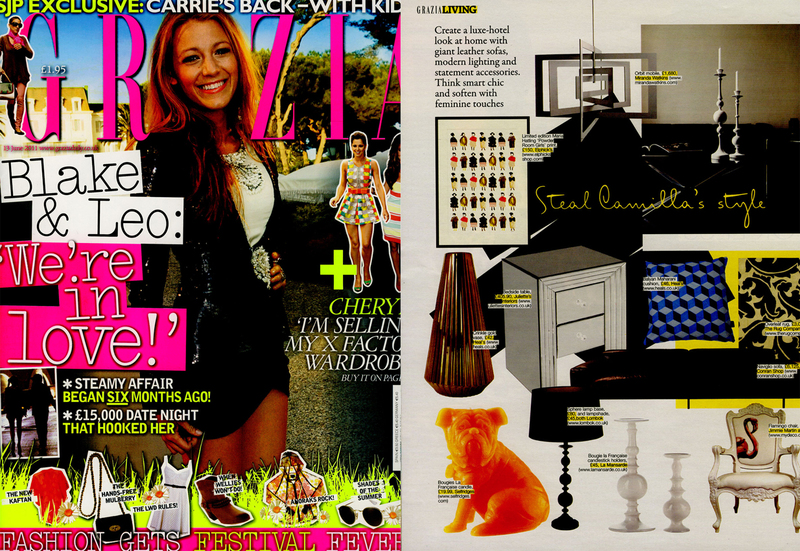 Maria Hatling’s ‘Powder Room Girls’ print has been featured in this weeks Grazia. You can order yours here. 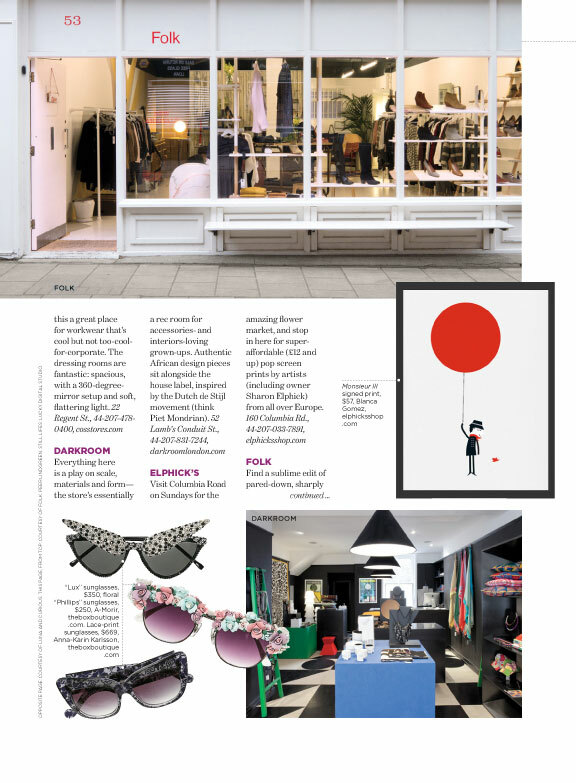 Elphick’s has been featured in the August issue of Grand Designs Magazine with an image of Charley Harper’s Gregarious Grosbeaks. 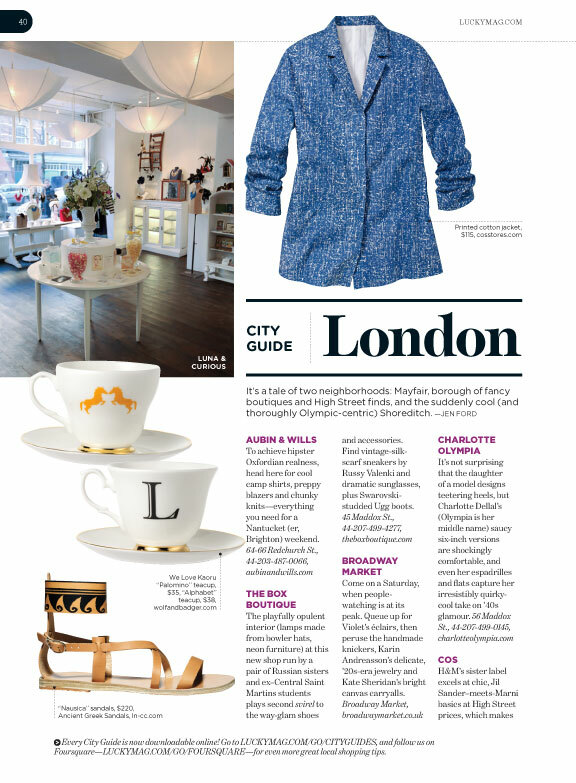 Featured in the News story ’10 things to see, visit and buy this month’. Click here to buy his prints online. 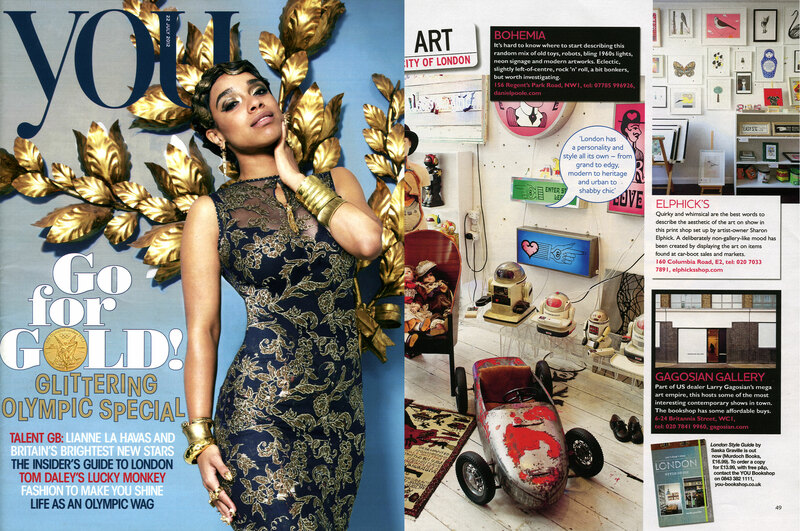 Me, my work and studio/shop have been featured in Paumes ‘London Ateliers’, a Japanese guide book to female artists studios in London. It’s great, especially if you like snooping into other peoples work spaces. I’ve really enjoyed looking at the fantastic work that some of my contemporaries are producing and you could do the same. I was looking after Martha’s dog Pat for the day so she is a star now too!